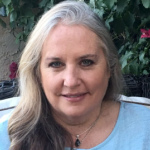 Over three decades Ashli has studied healing modalities such as Kinesiology, Spiritual Kinesiology, Sound Healing, Flower Essences and QHHT to name a few. Her journey has taken her to over 80 countries and to sacred sites such as Angkor Wat, Uluru, Machu Picchu, Stonehenge and many more. She has channeled with a Crystal Skull and communicated with dolphins in New Zealand. Ashli also has over a decade experience with Spiritual Communities, first with the Southern Cross Academy of Light in Australia and for the past several years (until summer 2017) as General Manager at James Gilliland’s ECETI Ranch – experiencing all of the multi-dimensional phenomena of the StarGate. 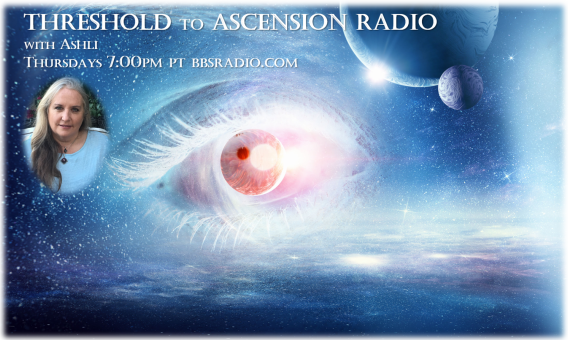 During that time, in addition to her operational responsibilities and workshop planning, Ashli frequently sub-hosted for James on his As You Wish Talk Radio show and assisted with the TransPersonal Release Sessions. While at ECETI, in 2015, Ashli began mentoring others with her weekly Wednesday night teleconference call and offering remote Spiritual Counseling Sessions where she is often directed to guide clients through personalized channeled meditations. These two services continue to this day. After guidance from her Higher Self, Ashli was directed to spread her wings and cross the threshold of a very powerful Initiation which led to the birthing of GoldenGoddesses.org and the next stage of her Divine Mission and contribution to the Ascension process. On her 50th be-Earthy- day Ashli was given two spirit names in a sacred ceremony. The first, Singing Elk Woman, came from her indigenous lifetime walking the Earth singing the land and ley lines as she brings in multi-dimensional sound activations. The second, Thunder Heart, represents the gift she shares of speaking directly and to the point and always from the Heart. She doesn't sugar coat.